1. PRICES AND TAXES: In the event the Company’s Proposal and Offer and/or Buyer’s order provides for the delivery later than 30days from the date of this document, the prices quoted are subject to escalation to Manufacturer’s prices in effect at the time shipment is made, except in cases where the Company has agreed in writing to waive such escalation. Unless otherwise stated herein, prices quoted are F. O. B. shipping point. Unless otherwise agreed by the Company in writing, the amount of any local, State or Federal tax levied on the product referred to herein shall be added to the amount paid by and remain the sole responsibility of the Buyer. Any portion of the price which is not paid in accordance with the terms of payment herein stated shall accrue interest at the highest lawful rate allowed by Texas law. 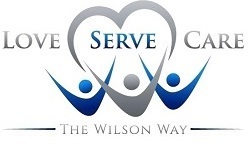 All sums are due and payable to Wilson Company, P. O. Box 9100, Addison, Dallas County, Texas, 75001. If account is turned over to an attorney for collection, Buyer agrees to pay an additional amount as reasonable attorney’s fees and all costs incurred by Seller. 2. DELIVERY: Any dates or schedules which may be specified for the delivery of the products covered hereby, have been stated only approximately and are estimated from the date of receipt of Buyer’s order, with complete drawings, specifications, designs, samples and other information reasonably requested by the Company in order to process with the manufacture and/or order of the products and the Company shall not incur liability, either direct or indirect nor shall any order be cancelled because or as a result of ant delays in meeting such dates or schedules. Shipment are not insured unless requested. Title passes to the purchaser upon delivery to the carrier at the shipment point. All claims for lost or goods damages in shipment shall not prejudice claims on account of omissions or shortages in shipment, but no such claim will be allowed unless made within 30 days after date of invoice. Material may not be returned without Seller’s written permission. 3. FORCE MAJEURE: The Company shall not be responsible or liable for any delays or failures in manufacture or delivery due to any cause or condition beyond the control of the Company, including, without limiting the generality of the foregoing, strikes, transportation facilities, actions of the elements, shortage of materials or equipment, riots or other civil commotion and war. 4. LAW, ORDANANCES AND REGULATIONS: The Company shall utilize reasonable efforts to cause products manufactured or designed by it to comply with the interpretations of federal safety regulations and insurance codes of a national scope. However the Company shall not be responsible for compliance with local interpretations of such federal regulations or insurance codes nor with any local laws, ordinances, codes and/or regulations which may at any time be in effect with respect to products, unless such responsibility shall be expressly assumed by the Company in writing. Further, the Company shall have no responsibility whatever for compliance with such laws, etc. by products manufactured or designed by others. 5. CHANGES IN DETAIL OR DESIGN: The Company and/or its suppliers shall be entitled to make any and all changes in detail or design, fabrication or arrangement of the product as the Company in its sole discretion determines will constitute an improvement upon the products or any specifications of designs previously furnished to the Buyer. 6. PRODUCTS MADE TO BUYER”S SPECIFICATIONS: The Company makes NO WARRANTY WHATSOEVER except as to title with respect to products manufactured and/or designed to Buyer’s own specifications and the Buyer shall, at its own expense, defend and save the Company harmless from and against any claim, suit, expense or otherwise which shall be asserted or brought against the Company by reason of its manufacture or sale of such products. 7. WARRANTY: The Company MAKES NO WARRANTY WHATSOEVER concerning products, manufactured by others, but will extend to the Buyer such warranties respecting such products as are permissible under the terms thereof. The Company will repair or replace products manufactured by it which prove defective within one (1) year from the date of shipment, 6 months of installation or 1000 hours of use. Whichever occurs first upon return of the same at Buyer’s expense when such defects are due to the defective material supplied by the Company or defective workmanship of its employees, provided the products shall have been properly assembled and utilized in accordance with the Company’s design thereof and instructions relating thereto, it being understood that the foregoing warranty shall be of no effect whatsoever in the event any changes are made in the product prior to or in connection with their assembly or use. THE ABOVE WARRANTY COMPRISES SELLER’S SOLE AND ENTIRE WARRANTY OBLIGATION AND LIABILITY TO BUYER, ITS CUSTOMERS AND ASSIGNS IN CONNECTION WITH GOODS SOLD HEREUNDER. ALL OTHER WARRANTIES EXPRESS OR IMPLIED, INCLUDING BUT NOT LIMITED TO WARRANTIES OF MERCANTABLITY AND FITNESS ARE EXPRESSLY EXCLUDED. 8. LIABILITY LIMITATION: In no event shall the Company be liable for consequential, incidental or special damages resulting from or in any manner related to the products, their design, use, or any inability to use the same, including, without limitation, damages arising out of or in any manner relating to the delivery of the products or any delay with respect to their delivery, it being understood that the sole and exclusive remedy with respect to defective products manufactured by it shall be the repair , correction or replacement thereof pursuant to the WARRANTY provisions hereabove contained. Should the products prove so defective, however, as to preclude the remedying of warranted defects by repair or replacement, the Buyer’s sole and exclusive remedy shall be the refund of the purchase price of the defective products involved upon the return of the products to the Company. Furthermore, Buyer waives its right under the Texas Deceptive Trade Practices Consumer Protection Act. 9. INTENDED USE OF PRODUCT: The products covered hereby are designed and have been offered for only those applications specified in the Company’s Proposal and Offer. The above stated ”Warranty” provisions as well as all other obligations of the Company to Buyer respecting the products, are subject to the use of the products for only such applications. 10. CANCELLATION OR CHANGE OF ORDERS: No order may be withdrawn or cancelled by the Buyer, nor may they be deferred when ready, unless the Company shall first be paid a cancellation or deferral charge of a reasonable amount acceptable to the Company. In the event Buyer shall request changes in the order after receipt thereof by the Company, it shall be responsible for all charges reasonably assessed by the Company with respect to such changes. 11. NO PROTECTION FROM CLAIM OF INFRINGEMENT: The Company makes no representation or warranty that the delivery or subsequent use of the products ordered shall be free of the claim of any third party by way of infringement. 12. APPLICABLE LAW: The terms and conditions applicable to the transaction provided for herein shall be determined and construed in accordance with, and shall be governed by the laws of the State of Texas and Buyer and the Company agree to submit to the jurisdiction of the appropriate State or Federal Court within Texas for purposes of resolving any dispute or claim arising in connection with said transaction. 13. We hereby certify that goods were produced in compliance with all applicable requirements of Section 6, 7 and 12 of the Fair Labor Standards Act, as amended and of regulations and orders of the United States Department of Labor issued under Section 14 thereof. 14. The products listed above meet the requirements and specifications of the standards under the Occupational Safety and Health Act of 1970. 15. NUCLEAR INDEMNITY: If the products are to be used in any nuclear installation or activity, the Buyer or the ultimate user (i) shall secure and maintain the maximum nuclear property damage liability insurance protection available (ii) shall enter into and maintain a government indemnity agreement and (iii) shall waive and require its insurers to waive all rights of recovery or subrogation against the Company for, and shall indemnify and hold the Company harmless from and against any claims, losses or damages (including consequential or special damages of any kind) arising out of a Nuclear incident as that term is defined by the Atomic Energy Act of 1954, as amended.